Whether a recruit is rated four stars, three stars or two stars, Princeton’s coaching staff is looking only for dual stars in the classroom and the football field. So if 247Sports, a credible source in ever-uncertain projections of the promise of 18-year old football players, is reporting Princeton has the best recruiting class in the FCS this year that is more a reward for the coaching staff’s tireless work and good judgment than it ever was a goal. “All due respect to the people who do the ratings – and they really do a tremendously challenging job well – I don’t look at them before making decisions because they bias your evaluations,” said Coach Bob Surace. “In the pros, I was watching not just for the highest rated guy at a position but how the guy would fit playing for the Cincinnati Bengals. And now I am trying to see how he would fit for the Princeton Tigers. “I know what we are looking for. When a kid fits us, we move forward and hope he sees it as a great opportunity and that enough of them do that every year. “I think we have the best class every year. This year, it happens that an outside group has us No. 1 in all of FCS football. I can put a stamp on that and say that in Division I this is the highest academic class and that the character of these guys is off the charts. So we feel good at all three levels. 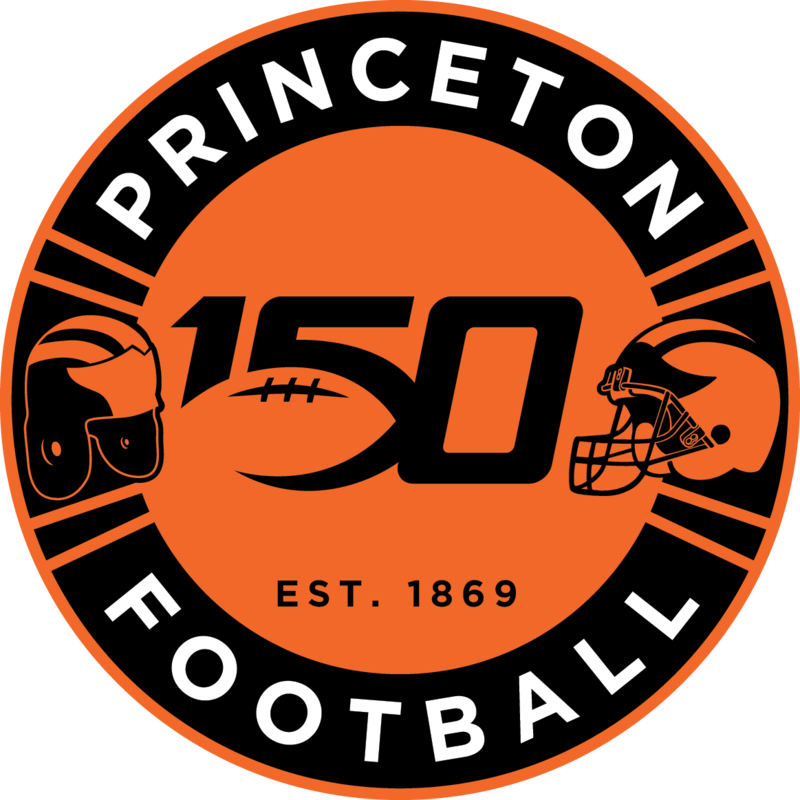 All that acknowledged, when experienced and well-sourced evaluators say the Princeton football class of 2022 is more talented than that of Utah, Rice, Air Force, New Mexico State and Wyoming that is extraordinary, considering all of the above play the game at a level considered above the Ivies and none has Princeton’s stringent academic admittance criteria. Still, Princeton doesn’t play Air Force. And in an improving Ivy League, the Tigers’ 112 ranking in all of Division I did not dwarf that of Yale (127), Harvard (134), Penn (143) and Columbia (149). No handicaps for these numbers will be granted at kickoff when these schools meet with these kids as core players in two, three and four years. Plus Princeton is not the only school that turns under-the-radar recruits like Seth DeValve ’16, who was a high school quarterback, into All-Ivy players at other positions. We will profile the class in depth here in late April or early May when Surace announces the class as a whole. In the meantime, be assured that, there has been another leap in the number of players who turned down FBS opportunities coming to Princeton. There also was more than one recruit who received a last-minute offer from a perennial winner from a Power Five conference and still decided to honor his verbal commitment to Princeton. “Kids want relationships,” said Surace. “We had built up ours over time. So just because a big school comes in late, I don’t think it factors. “At the end of the day, they had big offers before (announcing a choice of Princeton) and big offers after. This year, I don’t know if anyone fell back into our lap, committing elsewhere and then changing his mind and coming to us. That has happened in years past, but not often. Mostly it is about building relationships over time. “Some schools just offer a guy and take him. When I first got there, I got burned doing that, saying ‘let’s get this guy’ and it turned out he didn’t fit–had different values than our players or his expectations (of commitment to preparation) were different. As a result, we are not one to pressure. The vast majority of our recruits bonded with Princeton through a six, seven, eight month or one-year period. The spike may be, in part, a delayed positive attributable to Princeton’s 2016 Ivy League title. ­Like every year, most of the decisions by these applicants were made before the end of the 2017 season in which the Tigers finished 5-5. The new inflatable all-season practice bubble now up inside Princeton Stadium, the almost-completed new meeting rooms, and remodeled locker room certainly didn’t turn off any prospective Tigers, nor did another No. 1-in-the-nation ranking by US News and World Report of Princeton’s undergraduate academics. But for all the things Princeton can brag about, none of the above probably matters as much to recruits weighing multiple offers to high-end schools as does the sincerity projected by the coaching staff. “With all the research available on the internet, kids are smarter than when I was a recruit here 30 years ago,” said Surace. “Sometimes they choose because the school is so good but if things are equal in their mind between us and another school, they want a relationship. “There was a time 20 years ago where you would say, ‘Come to Princeton. It’s Princeton.’ Now they are looking at other good schools, so they want to know, ‘Why Princeton?’ So while it’s true about this being a decision for 40 years, not just four, other schools with above average-to-great academics can say that too. “When they do, they really are recruiting for us. We can look you in the eye and say, ‘We are the No. 1 school in the country’ and, beyond that, point out facts. When a kid wants to be a doctor, we can tell him what an undergrad degree from Princeton means toward medical school acceptance. Same if he wants to be a lawyer or a football coach–we can provide exact facts about academics, career services, and our football program. Our students are not limited in their majors because a certain class meets late in the afternoon, during football practice. We have no classes between 4:30 and 7:30. That’s important. Two Ivy titles under Surace in the last five years, three players who have played in the NFL and a fourth–Chad Kanoff–whose Ivy-record breaking passing performance left him zero regrets about de-committing from Vanderbilt, increasingly speak to recruits that they are not sacrificing NFL dreams for the other things Princeton offers. “We feel we do more with development than with recruiting and I think our recruits appreciate that,” said Surace. “Everybody wants to be loved, but, for the smarter kid, it’s about how the school will develop you. “In 2013, nobody knew who Seth DeValve or Quinn Epperly was. I couldn’t tell you how many stars Rohan Hylton had. I didn’t see a lot of attention given to John Lovett or Mark Fossati but those were guys who fit us. At St. Joe’s (Pa.) Prep, the coach told me ‘You want Tom Johnson on your team.’ So we watched the film and he came to camp and loved all the intangibles, didn’t care if he is an inch shorter. “I meet with them almost every day, watch them in the weight room and on the field. I evaluate every one of them, and almost everyone goes through something in four years of a personal nature that they likely will bring to my attention. You get to know these guys extremely well. So the stability we project does help. “My wife went here, I went here. I have young kids; we have established roots. We have a coach in Verbs [Defensive coordinator Steve Verbit] who has been here 33 years. Maybe a coach leaves–James Perry earned an opportunity to become a head coach (at Bryant)–but the offense under Sean Gleeson hasn’t changed. The kids see there is stability, a plan in place, a trust that if they commit their style of play fits us. The coaches are only the point men of a Princeton network-for-life. “When they see the bubble and meeting rooms, the kids realize we have alums who support athletics,” said Surace. “I can’t wait to thank our alums (at the Armstrong Dinner honoring the seniors on February 22 at the Princeton Club in New York) for allowing us to scour the country. We got a kid coming from Hawaii, one of like 20 different states and Canada, all because of our alumni supporting our recruiting travel. The coaches can show recruits a database about what a Princeton degree means after graduation. Current Tigers tell them what the next four years will be like. Ultimately the prospective student has to picture himself fitting in here for more reasons than just trusting the coach, why the visits are so critical. Hosting is an important part of recruiting. “You want some of your best players to be around when you are doing visits,” said Surace. “We do a player panel where those players will speak to them but a junior will only have six months with these (incoming) guys, so you would rather have a younger one hosting. “We very often match them up close to positions, sometimes regionally, if you have two guys from the same high school or area. But there is not anybody about whom we have said, ‘Don’t put him with this guy.’ I have coached places where you had groups who could and couldn’t host. Here they are all good. So lets make sure we are not overdoing it with any one guy. 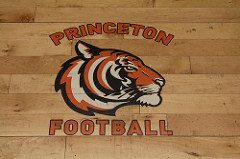 An FBS-level recruit who chooses Princeton in the belief he can get on the field faster here, is in for a rude awakening about the level of Ivy football. Kanoff, heretofore the highest profile recruit of the Surace era, didn’t play for two years. “We don’t promise anybody,” said Surace. “But there is the Internet, where kids look at depth charts and rosters. “They see we are not a school that is going to have 12 running backs on its roster. You can’t develop 12. Some years you take seven offensive linemen so the next year you have to take three. There is a plan. “Our guys have good heads on their shoulders. We have always been about competition and it is even more challenging than ever now with the depth we have developed. “Reilly Radosevich became All Ivy as a freshman. So we have had guys do it. Outsiders rank the classes and they ranked us tops, which is great but now its up to us to do what we have done in the past with both three-star guys and those who weren’t ranked high. It would seem like Surace and his staff were especially well-behaved this year.